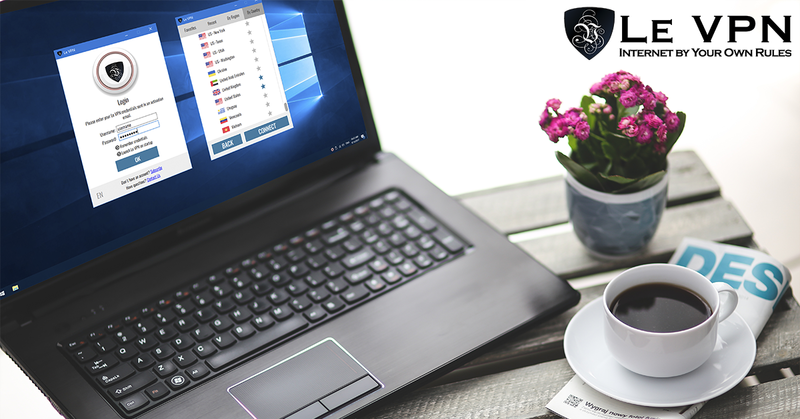 Le VPN software for Windows is now out! Try the best VPN for Windows with Le VPN! The best VPN for Windows is Le VPN’s latest multi-protocol, multi-server custom Windows VPN software. 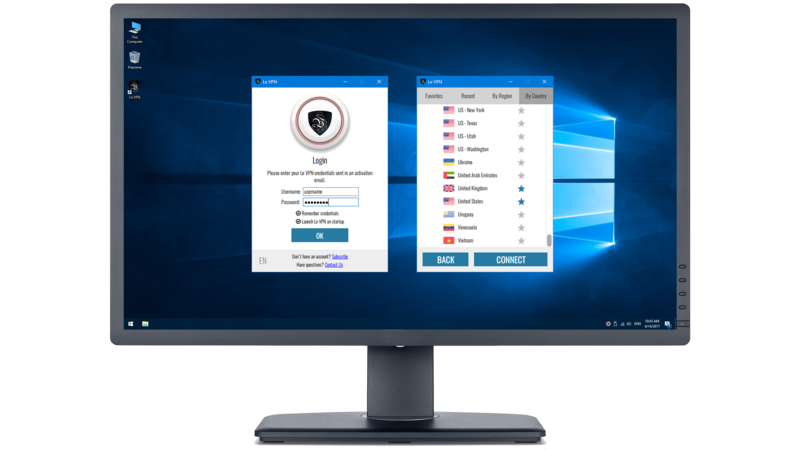 This new Windows VPN software is now available to all the new clients, as well as to all the active Le VPN clients who can download it in their dedicated client area. Each Le VPN account enables an unlimited number of devices to download the software with two connections at any one time. Each connection has unlimited access to the Internet with no throttling and no data caps as Le VPN is a leading proponent of Net Neutrality. Protocols include OpenVPN, L2TP/IPSec and a HybridVPN feature. Why do you need a VPN for your Windows computer? How to choose the best VPN for Windows? The rise of cyber crime gangs is only one of many reasons why cyber security is a top priority in today’s world but not the only one that can be defended against. Loss of privacy tops the list, followed closely by loss of data, which in itself spans a wide range of potential risks ranging from surfing habits to identity theft, corporate raiding and spying. VPN is short for virtual private network, it is technology created alongside the modern Internet system to provide security for top-level government agencies and private corporations. Once available only to those same organizations, and those with intimate knowledge of the net, Le VPN has made VPN commercially available to the public, families and small businesses. VPN creates a secure connection using a “tunneling” protocol to connect with the Internet. It bypasses the local ISP and connects to a dedicated VPN server. Your data, before leaving your computer, is camouflaged so that anyone who may be able to see it will not know where it comes from, or where it is going. The VPN software assigns a new IP address to your connection as it moves on to your intended destination, effectively geo-masking your computer or device and enabling the unlocking of geo-restricted content. The best VPNs, and Le VPN is the best, include top-secret level encryption to further protect your data in the rare event it is intercepted. This combination makes individual Internet connections nearly impossible to see, find or trace and if, by accident they are, they are impossible to read. Benefits of VPN include avoiding bandwidth throttling, mask IP address, avoid geo-targeting/geo-restrictions, unlock streaming TV from around the world, anonymous use of the Internet, avoid collection of personal data, avoid targeted malware, secure online financial transactions and many more. Le VPN service can be as little as $4.95 per month with a 1-year plan. All Le VPN plans include access to VPN servers in 114 countries supporting 3 advanced VPN protocols. Using the service is as easy as your current connection and can be established with only 1 click. After joining, users download the software to their devices / computers, choose a country and a click on a “ Connect” button to establish a secure VPN connection with Le VPN.